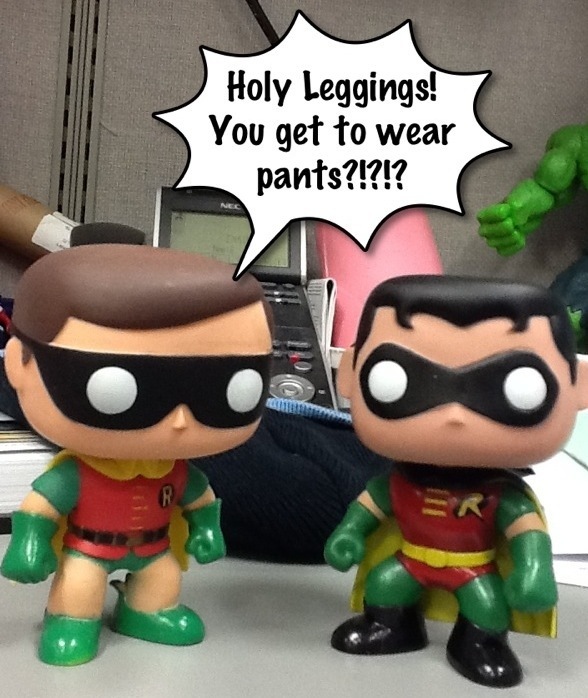 He’s wearing pants because Bruce Wayne wouldn’t let his actual son dress like that. Haha … That’s awesome! The ward always gets shafted. Thanks for reading and commenting!